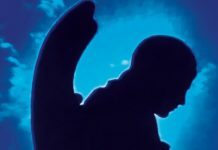 After a slew of mixtapes and guest spots, rapper/poet/activist B.Dolan is back with the follow-up to his 2002 debut, The Failure. 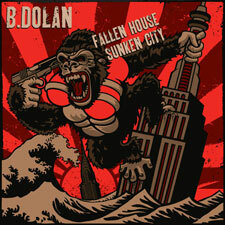 Indie-rap icon Sage Francis, who re-released The Failure in '08 on his Strange Famous Records, is also behind Dolan's latest, Fallen House, Sunken City. If you've never heard Dolan, you'll be surprised at how much he resembles Francis in both voice and flow. They also share a love for politics too, as Dolan is known for founding knowmore.org, a website that educates consumers on the ethical conduct of corporations. On Fallen House, Dolan avoids his typical avant-garde style for a more straight up hip-hop vibe. He's aided in this task by Anticon genius Alias, who produced the entire record–his spastic, head-nodding beats are so good, that they occasionally overshadow the headliner. However, that's not due to any lack of talent on Dolan's part, who's on the top of his game throughout the disc. He lets loose on “Marvin,” furiously rhyming until he hits a wall of emotion. 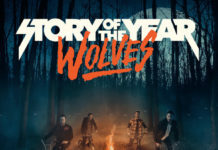 On “Fall Of T.R.O.Y.,” he teams up with P.O.S. and Cadence Weapon for a scathing editorial on the current state of hip-hop. Even if you don't dig Dolan's work, it's impossible to say he's not passionate about his art–it oozes from every line he delivers. Fallen House is proof that underground hip-hop still has bite.